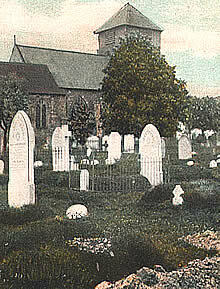 We have indexed 9,957 burials from the Parish Records of St Michael and All Angels Church between 1561 qnd 1892. These records are thanks to the work of Janet and Alistair McIntosh and Cathy Goodwin and are available by searching the Archives. If you find the person you are looking for, we may be able to supply you with further details.